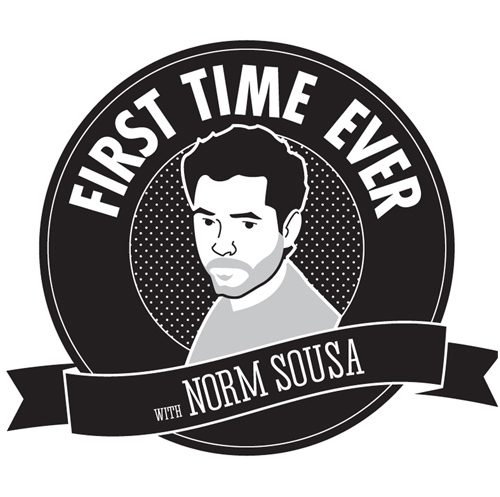 norm sousa | and more! Last night I got to perform a sketch with one of my all time comedy heroes, Conan O’Brien! It was an amazing experience. 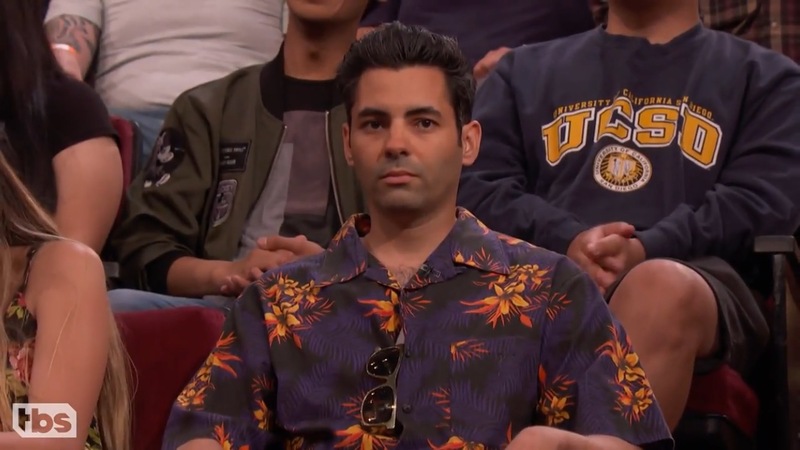 I’ve loved watching Conan from back in the Late Late Show days and getting to be in the crowd for a sketch was a very surreal moment for me that I won’t soon forget. I want to take this opportunity to thank someone I’ve known for almost 15 years, fellow Canadian comedian and writer on CONAN, Levi MacDougall. It was a dream come true. What a blast. Hopefully I’ll have more updates like this soon. Yes, that’s me hogtied with duct tape on the floor. And yes, if you live in the Los Angeles area you’ve seen me hogtied with duct tape on the floor on 50 foot billboards. 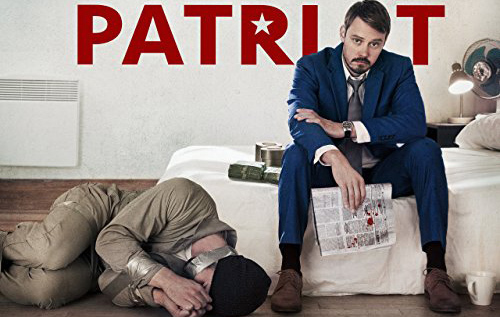 That’s because Patriot is now streaming on Amazon Prime Video! I have a small, but integral co-starring role in a few episodes. But don’t just watch to see me taped up and placed inside a large bag and treated like currency, it’s a great show with so many amazing actors. There’s also a very cool online video game they made as promo for the show where you get to play as the main character John Lakeman and recreate some of his missions. You can play at 16bitpatriot.com. Here’s a tip: Talk to the guy in the parking lot and get your hands on the meat. Then head to the back of the police station, give the dog the meat and walk right in. Just don’t ask me what’s up with that evidence room. I can’t get past that part. Anyway, check it out. If you don’t I’ll be forced to hogtie you to the floor with duct tape. Oh and I’ll be posting about my new upcoming podcast in the next few days for make sure to look out for that. After an amazing year, my time at Fox Sports has come to an end. 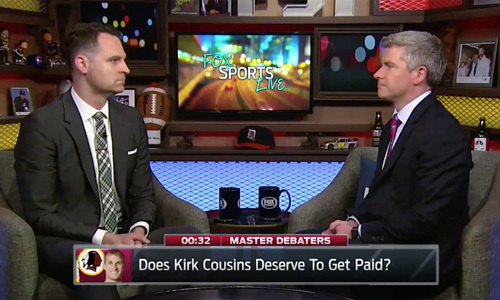 The program I was working and performing on, Fox Sports Live with Jay and Dan, is no more. Jay and Dan have announced that they will be returning to TSN to reclaim their throne as the best highlight anchors on the planet. No word yet on if I along with my sports writing partner Brendan Halloran will be contributing to that show but I will say that if I do it would be a pleasure working with Jay Onrait, Dan O’Toole and Producer Tim once again. I’d like to take this opportunity to thank everyone I got to work wit at Fox especially the producers Jason Cahill and Sean Keegan, writer Bernie Kim and the talented people who worked on the show that I call by either their first name or last name… Vayder, Hubbard, Benji, Will, Hannah, Brumley, Liz, Jess, Gelbs, Jeff, Bates, Heller, Sonia, Toyama, Bobby, Mickey, Teller, Half Wrap, Royce (I’m gonna mop the floor with you) and of course all the editors who cut together our work especially, Swanson, Blake and Jantzen. I learned a lot. This was my first job in Los Angeles and for that reason and that reason alone I will remember it. Thanks again and never forget to embrace debate.